Extensive use of groundwater and abandoned agriculture practices causing desertification and environmental degradation of ecosystem is of major concern to planners. Ecologically sensitive areas like Western Ghats in India which is identified as World Heritage Site by UNESCO is facing similar threat. Construction of suitable artificial recharge structures at appropriate location is essential to improve the groundwater resource for environment protection. Study of watershed morphology has indicated the elongated shape, low runoff, and highly permeable subsoil conditions. 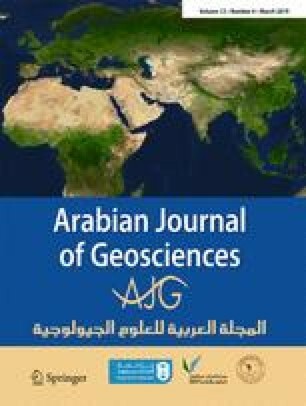 The study proposes integration of multi-criteria-based land suitability analysis with runoff modeling in HEC-HMS to identify suitable structures and their location for artificial recharge of ground water. Remote sensing and GIS tools were used for mapping, integration, and modeling of artificial recharge process. Results demonstrate the suitability of farm ponds along first-order streams, percolation ponds, and subsurface dykes in middle of watershed and check dams in higher-order stream network. It is concluded that improved groundwater resources facilitate better environment protection and ecological balance.